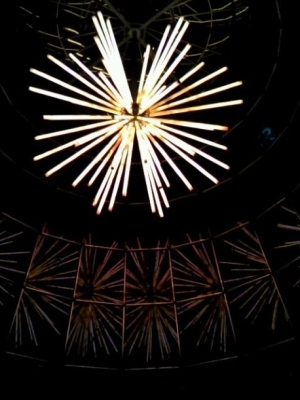 Leo Villareal whose immersive digital sculptures echo organic and architectural forms are showcased in some of the world’s most prestigious galleries including the MoMA PS1 in New York and National Gallery of Art in Washington, has created his first major three dimensional piece for the project, a site‐specific response titled Flying Star. 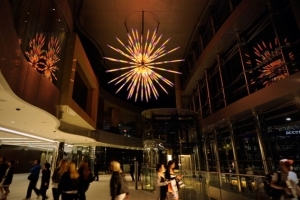 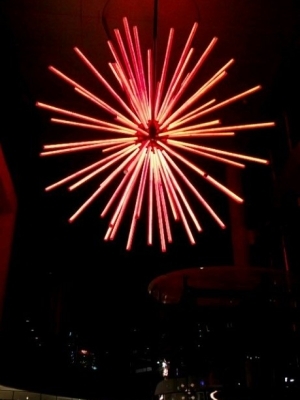 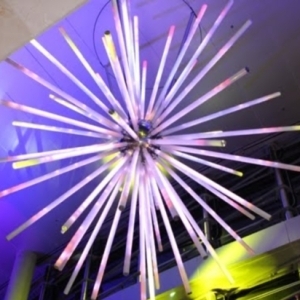 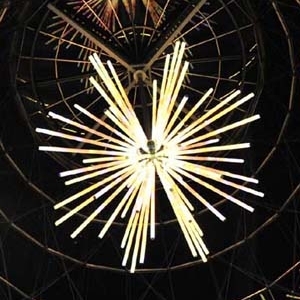 Suspended both within The Star’s main entrance and 16 metres in the air within the entertainment complex’s glass void, Flying Star is a constantly evolving starburst of tubular LED fixtures arrayed in a radial pattern. 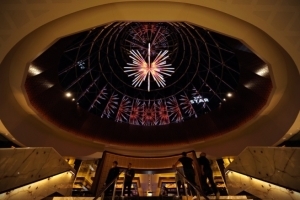 Villareal has created a number of digital sequences that the artwork’s programming will randomly illuminate, generating constantly evolving patterns capable of incorporating up to 16 million individual colours.